It’s SPRING BREAK!! Yahoo!! I am going to AZ one week from today and I am sooo excited to visit my partner in crime, Miss Savannah and my other wonderful friends and family! I got the idea from my friend Jen over at Loves List. 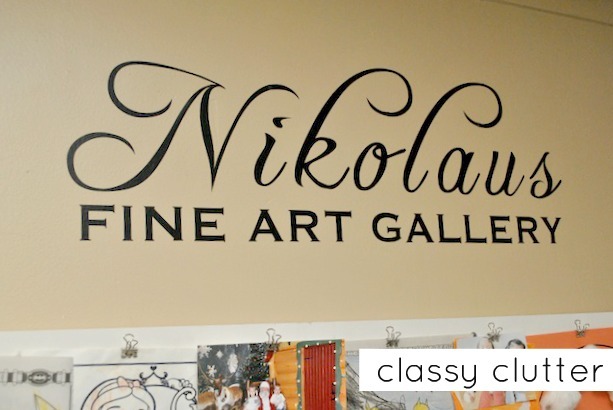 She had this up in her craft room to display her girls’ artwork and I knew my boys would love it! 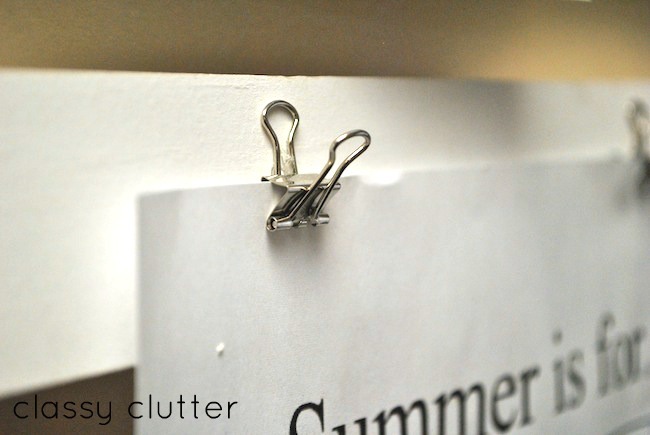 Basically, all I did was hang up 4 – 1×2″ MDF boards and glued on these little paper clip thingamabobs! Easy huh? Then, I used my Silhouette and created this fun little sign for above the boys’ artwork display. If you’re interested in the vinyl decal, shoot me an email. I’ll add this to my etsy shop vinyl designs soon. I love it and the boys love it! Perfect! Isn’t that awesome? I love it so much! Thanks Jen for the fabulous idea! 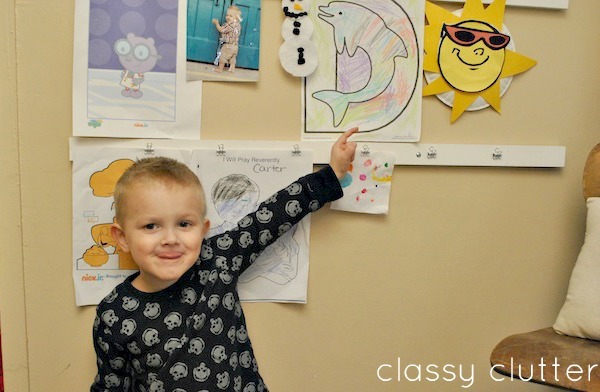 UPDATE: You can now purchase the vinyl decal or another fun decal I designed to display children’s artwork here and here. I love this. I need to think of a way of displaying our budding artists work here. Thanks for sharing this. Thia is a darling idea! I’m the Gramma but I’m going to try and find space to do this at MY house. love it! Adorable. What a fun idea! I would love it if you would stop by and share at my Monday link party. Love this wall!!! I need to do this for my daughter, who is always making something!!! So cute! Love this idea! I also love your curtains!! I’ve been looking for some for my little boys nursery. Where did you get them?? Love this idea! So easy and practical. Do these decals work on textured walls? I love it but what I love more is the airplane pillow that is written in lithuanian! Where did you find that? Hello Mallory, stumbled across this through a couple links from Pinterest, just wondering what glue you used to glue the clips on? Thanks! 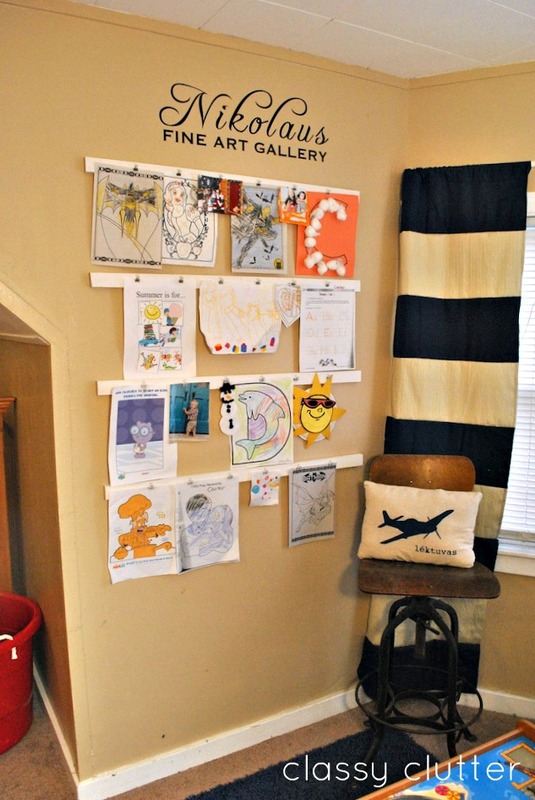 Super cute idea, we are starting to decorate our little boys airplane room. looks great for the kids fun loving. I have suggested for this kind of activity you have done very easily and practically. Thanks for sharing with us this amazing content.